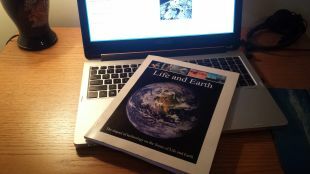 I have written "Life and Earth" in order to convey the urgency for countries and leaders to cooperate more in order to ensure the best future for Life and Earth. This is a daunting task that I cannot do on my own. My effort is just one of many. There are so many other individuals and groups who also are making their own efforts to ensure the welfare of Life and Earth. Only you can decide whether the ideas in "Life and Earth" represent the best path to our brightest future. If you have read the book, it is clear that the theme is that the leaders and countries of the world must rethink policies that are protectionist and that cause isolation. From what I can see (2018), world powers are only building greater barriers between each other. They are bound to strengthen their military capabilities in order to protect their own beliefs and economic interests, where instead they should see each other as allies against greater common threats, like the side-effects of our technologies. This potential alienation will increase the risk that dangerous world-impacting technologies will be used intentionally, or by accident. We are entering a future predominated with complex and dangerous technologies such as nuclear weapons, bioengineering, artificial intelligence, and the ones that you and I cannot yet even imagine. The stakes are now higher. A concerted and coordinated effort by leaders and countries is now urgent. 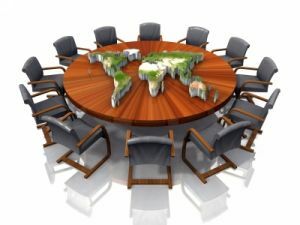 Countries need to see themselves as a part of a global community moving forward together, with the powerful benefits that come from intelligent cooperation. We need to establish the best choices possible and get past our differences that prevent us from implementing these choices. For example we must understand the true scientific dynamics of climate change and act upon them together. The suggestion in "Life and Earth" is to centralize decisions that affect Life and Earth globally through an empowered body such as the United Nations, or some type of "Global Council". If such a body were created, capable of intelligent decisions, and with a deep understanding of physical science, human nature, and philosophy, then it might become a foundation for the development of a Universal Philosophy. This philosophy would exhibit a new way of global thinking and be incorporated into education systems globally and complement existing belief systems. Educating such a Universal Philosophy to the world is one step but we must also give less fortunate countries the standard of living that would allow them to incorporate such a philosophy into their education systems. This Universal Philosophy would be the means though which leaders, countries, and individuals could gravitate toward a way of thinking that might help us to find the best future possible. How do we do this? I have created "Life and Earth" to send the aforementioned message to ALL world leaders and influential individuals. It is designed to be mailed easily yet still be simple, informative, and appealing. The glossy photos help to convey the messages in each discussion. This is far from a project for my own benefit. It is for all Life, the Earth, You, and myself. It would be amazing if we could make the availability of "Life and Earth" to world leaders a self-propagating project, funded by humanity, expressing the ideas to the world in order to help us ensure the brightest future possible for Life and Earth.